The Government has passed the Employment Relations Amendment Bill, strengthening our rights at work. E tū campaigned for a worker-friendly Government and has worked to influence the final changes, which will all come into effect by 6 May 2019. We have restored many of the rights lost under the last Government and this is just the start of what E tū will campaign to do over the next 18 months. People working eight-hour shifts are now entitled to two paid 10-minute breaks on top of the unpaid half-hour lunch break. Workers with shorter shifts get extra paid break time as well depending on hours worked. Workers will have extended protections against discrimination based on their union membership, including either being a member or considering becoming member. An employer’s behaviour may be deemed discriminatory if it occurs within 18 months of a worker undertaking union activities. Delegates will get paid time off to carry out union duties, such as being involved in bargaining and participating in union education. The employer can only deny this if it creates an unreasonable disruption to the company. Access rights restored for union officials. Organisers can, once again, enter a workplace without first seeking consent, but there must be at least one worker covered by the union collective agreement, or in the process negotiating one. Businesses must now enter into bargaining for multi-employer collective agreements (MECAs), if asked to join that agreement by a union. They will not have to settle a MECA if they have reasonable grounds not to. Employers must pass on information about unions to new workers. E tū will be producing specific recruitment material for different industries and organisations for this purpose. Many other changes that improve union power in all union activities, from recruitment to negotiations to industrial action. Employees in specific industries can keep the current terms and conditions in their employment agreement if their work is restructured, regardless of how big the employer is. Workers had previously been excluded from this protection if they worked for a small organisation. This applies to workers in ‘vulnerable industries’ (such as cleaning and catering services) and we can now seek to have other workforces (such as security) protected by this law. Reinstatement has been restored as the first course of action considered by the Employment Relations Authority when workers are unfairly dismissed, meaning that if you lose your job wrongfully, the Employment Relations Authority will prioritise getting you back to the same job if you want to return. Employers can no longer write 90-day trial periods into agreements unless they employ fewer than 20 people. Ninety-day trial periods allow employers to fire workers without giving any reason, which denies workers their right to fair go at a new job. E tū has led the call for Fair Pay Agreements since the 2017 election campaign. Fair Pay Agreements is the Labour Party’s policy to establish industry-wide bargaining, which means setting minimum pay and conditions across an entire industry. Workers in the cleaning and security industries would benefit greatly from Fair Pay Agreements as their pay and conditions are among the country’s worst. A significant factor is the contracting model, which incentivises companies to have a ‘race to the bottom’ by paying the lowest wages to win the right to deliver a service. 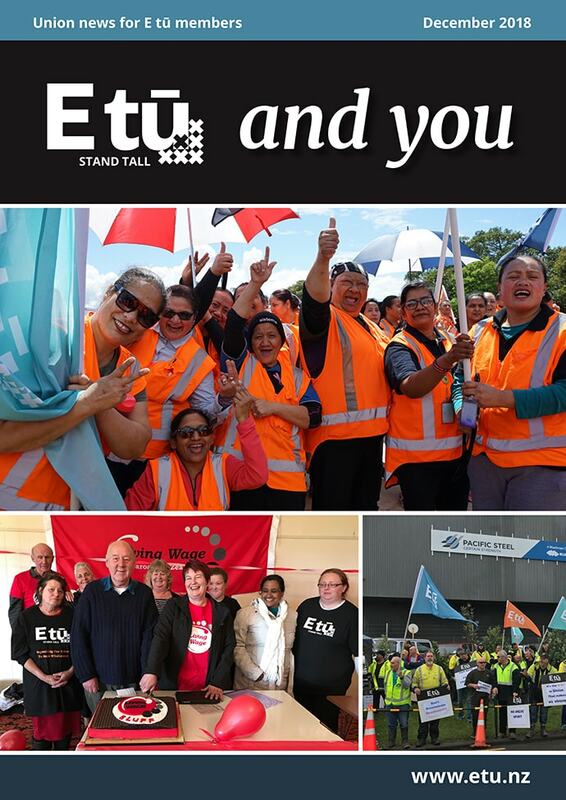 E tū is part of the Government working group to develop a Fair Pay Agreement framework and our members are active in making sure Labour’s coalition partner, NZ First, understands the importance of this policy. 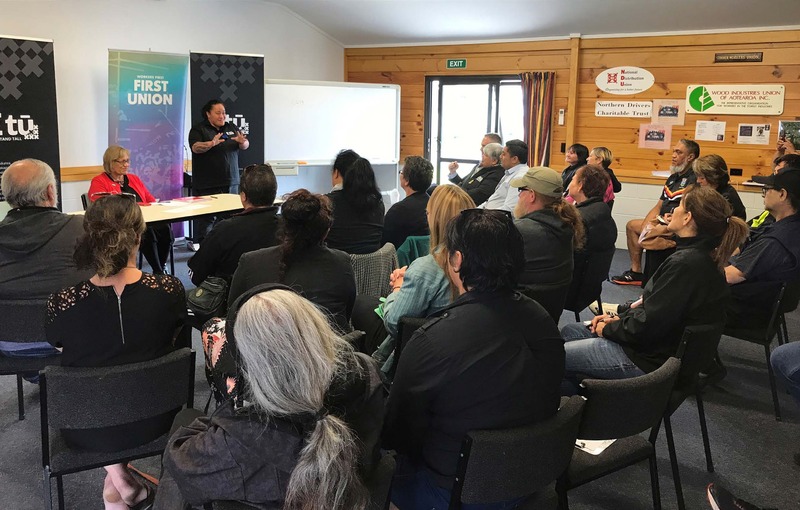 E tū security and cleaning members met with NZ First MP Fletcher Tabuteau, in Rotorua last month to explain how Fair Pay Agreements could be life-changing for people in low wage industries. The meeting was an initiative of Te Runanga o E tū. Our Runanga President Sharryn Barton says the setting of fair pay and conditions for some industries is desperately needed. “The poverty some of our members experience is heart-breaking,” Sharryn says. “You have people doing hard work, often at all hours of the day, who just aren’t getting paid enough to make ends meet. The system we have isn’t working for them. Firms tendering for Government contracts may soon have to guarantee decent jobs and wages. Talks are underway to secure new government rules for tendering out contracts, a process known as procurement. Contracting hurts our members as clients demand and reward ever lower tenders, resulting in low pay, insecure work and long hours. Clients who tender out services like security and cleaning include government agencies such as schools, courts, the Ministry of Justice, the police and The Ministry of Social Development. But the Government and your union are discussing new rules for purchasing government services, which could mean greatly improved pay and working conditions. Your union is advocating for ethical practices, including secure jobs and the Living Wage. When the government buys services or goods, this is called procurement. Social procurement is the strategic use of procurement for social, economic and environmental wellbeing. 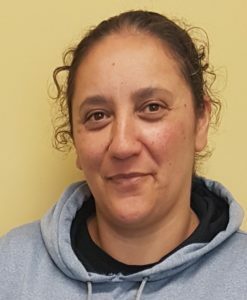 E tū believes government procurement can lift workers out of poverty by ensuring all workers who deliver a public service like security or cleaning, earn at least the Living Wage. E tū also put up a remit at this year’s Labour Party conference supporting ethical procurement, which is now party policy after winning majority support. The new policy also urges coverage of security guards by Part 6A of the Employment Relations Act, so their jobs are protected when security contracts change hands.